There have been many people who were aces in their usual weekly game of poker with their friends, unbeatable and unstoppable, who found themselves lost and flustered after moving to the world of online poker. Such are the differences between a regular game and the online version that it is easy to struggle when starting out online. But all is not lost. There are all kinds of tips and tricks to become better at online poker. Some of these are listed here – there are simpler tips, such as learning from the best, and more technical ones about using software to become à better poker player. All of them are simple to understand and easy to follow, so no matter which one you use, you are sure to become à better poker player. The most basic tips are sometimes the most useful, and although these ideas may seem obvious, mastering them might be the best possible way to succeed at online poker. First and foremost to consider is that online poker is a different experience to regular table poker. Don’t overestimate your ability to transfer skills from the table to the computer. Even the best have to take it easy sometimes – consider starting out with low stakes poker. This enables the starter to get used to the game and the level of the players without worrying about high level losses. Familiarise yourself with the differences between online and regular poker, and don’t try them all at once. Use the time bank first, and learn its ways before you start playing more than one game at once. One of the best ways to improve your poker skills is to understand the game properly. Once you’ve got past the first stage, and understand how the online game differs from the original, the next most important thing is to concentrate. This may seem obvious, but there are all sorts of things that can distract you from playing your best game. Cut them out, and you might become better at online poker. The most important thing to avoid is perhaps the most difficult – human voices. Our brains are hard-wired to listen to and be distracted by human voices more than anything else. That might be useful in the wild, but it doesn’t help when you want to improve at poker. Don’t put the TV on in the background, and try to play by yourself, away from the family. We all love our family, but playing in silence is the best way to concentrate fully on the game at hand. Now that you’ve started to become better at online poker, it’s time to discuss something a little controversial. Some players don’t approve of using software to help their game, and you may feel the same. However, many poker sites allow the use of software, and it can be an enormous help to your win rate. The most useful kind of software to consider is the type that allows you greater knowledge of your opponents. Most sites allow you to take notes somehow – while basic, this is a great way to remind yourself of things you have noticed about your opponents’ play styles. Equally useful are programmes available to purchase, such as Poker Tracker and Hold Em Manager – they will allow the player to see what their opposition has done in the past, and therefore draw conclusions on what they might do in the future. Finally, and perhaps most importantly, make friends. Poker is a game played by players, not machines. The best way to improve is to learn from others. 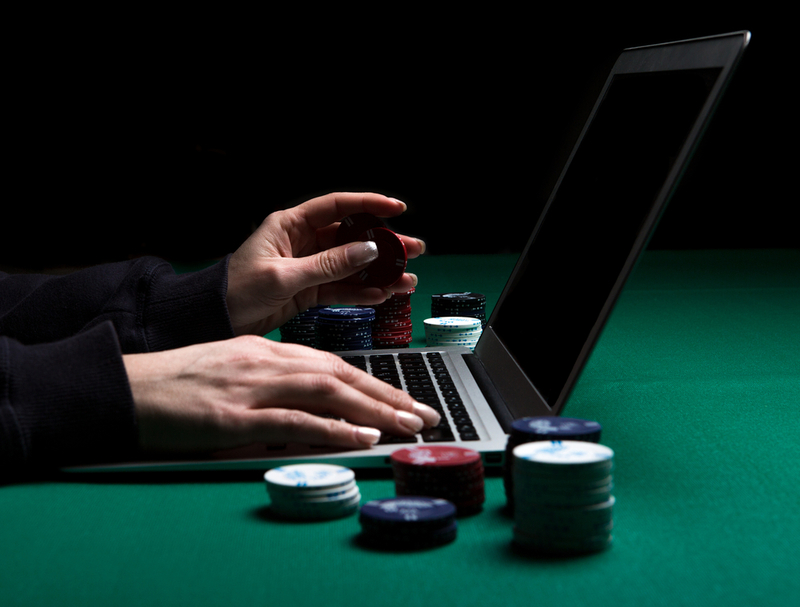 Playing with the best is the best way to improve at online poker. People love to give advice, and if they are good at something, it is usually worth listening to them. Ask questions of players better than you, and they might give you good advice. Someone who has played thousands more games than you will inevitably understand the variables of the game better, so seek them out – experience is the key to improving at online poker. Alternatively, if you can’t find the best people to talk to, you can purchase sets of data on the history of hands of cards. Study how people win from the raw data – numbers never lie, and if something seems to work more often than not, try it for yourself.